I am surprised by how attached I became to the Bonneville in the nine and a half months I spent riding it. It’s not particularly fast, it’s definitely not light and it’s not the best handling bike in the world, but what it lacks in these areas it gains in character. Maintenance-wise I spent more time running the rule over the Bonneville than actually doing anything to it. Only once did I top the oil up, by about 250cc. I lubricated the chain on a regular basis, but not once did I have to adjust it. I was interested to see how much fuel the Bonneville get through in its time with me, so I ran a log of miles, litres and cost. The bike had had its first 600 mile service when it was handed over to me from Triumph, so during the 5711 miles I rode it for, I made 43 fuel stops, went 540.2 litres of fuel (118.82 gallons for you imperialists out there) at a cost of £681.09, and this gave me an average fuel consumption of 48.06 miles per gallon - not bad! Looking back over the time I spent with the Bonnie it was definitely a grower, once I got over a couple of issues with poor chrome on one of the chain adjusters and the engine tube next to the spark plug, the finish on the rest of the bike was good. Whenever I cleaned the bike it would always come up as good as new, despite being ridden in all weathers. My only mechanical issue was the throttle stiffening up, which was easily rectified with some cleaning and lubrication. 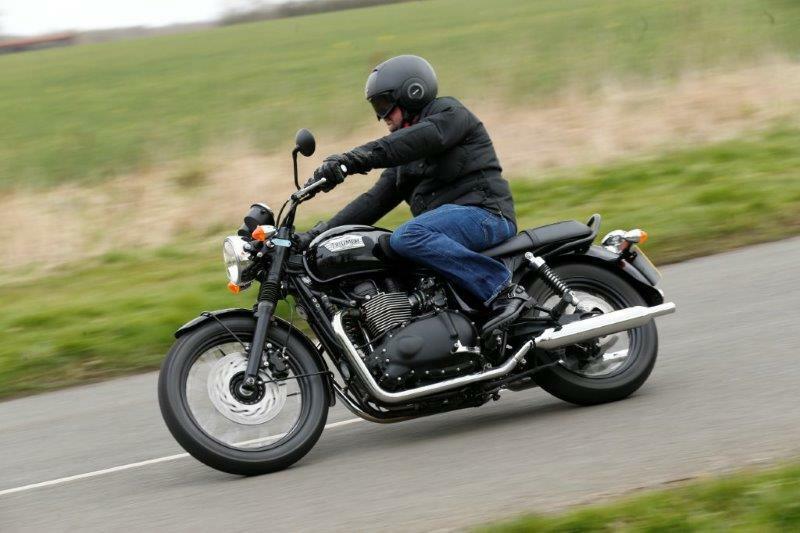 If you enjoy trouble-free motorcycling then the Bonneville is a great day-to-day bike with bundles of great character.